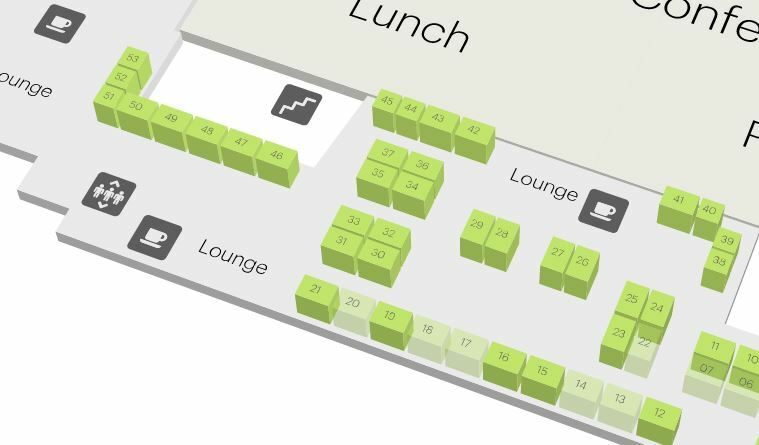 Curious to see who's exhibiting at the 2016 Ecsite Business Bistro? Perhaps even considering to host a booth? This new interactive map will allow you to browse through the Business Bistro area, check out who's confirmed to exhibit and, if interested, choose an available booth. By the way, did you know that this year, Full and Sustaining members of Ecsite who subscribe to a sponsorship package at the annual conference get 50% off an extra one-person conference registration! Full members have this same benefit when booking a booth at the Business Bistro. Do not hesitate to contact Raquel if you have any questions regarding the Business Bistro or the Annual Conference.